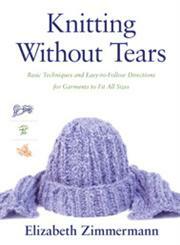 The Title "Knitting Without Tears: Basic Techniques and Easy-to-Follow Directions for Garments to Fit All Sizes " is written by Elizabeth Zimmermann . This book was published in the year 1971. The ISBN number 0684135051|9780684135052 is assigned to the Paperback version of this title. The publisher of this title is Simon & Schuster. We have about 36723 other great books from this publisher. Knitting Without Tears: Basic Techniques and Easy-to-Follow Directions for Garments to Fit All Sizes is currently Available with us.